Confirmation retreats. They are an interesting phenomenon, perhaps the one venue where all of the issues that have arisen within the Church over the last generation come together. When I was a DRE, myself and two other DREs put a lot of effort into putting together a proposed revamping of the entire diocesan approach to Confirmation. We put a lot of research into it and were going to propose it to the bishop in a formal meeting; my part of the project was to research the history of Confirmation in the Church in order to develop historical and theological arguments for administering it earlier. For various reasons this project was never completed and the issue faded from my mind. This weekend I attended a Confirmation retreat for a boy I am sponsoring, and all these questions about how Confirmation can be better administered and prepared for came rushing back to my mind. But there is no room here for a full-blown review of the problems with Confirmation prep as a whole and what would be needed to rectify (though I am working on a such a proposal for the new website). It will be sufficient here to give an example of the kind of thing we are dealing with by describing my experience this weekend. Allow to begin with a disclaimer - the boy I am sponsoring is a very intelligent and well-formed homeschooler, probably one of the best formed and most knowledgeable kids in the entire program. I am proud of him and happy to be his sponsor, so my post here on Confirmation retreats has nothing to do with him or his personal preparedness. Rather, I guess it is a lament that such a well-formed kid had to endure the sort of program I am about to describe (which, by the way, was not at my parish but at another one in the same diocese). Our retreat was billed as a Confirmation Sponsor Retreat. It was supposed to be a time when sponsors shared a day with their confirmands and shared their faith with them apparently. The retreat was scheduled to take eight hours, from 12-8pm. For almost the entirety of this time, we were confined to the parish center and had very little opportunity to move around, except for some small breaks every two hours. We began the day with an "ice breaker" to "warm up"; we were each given a Gift of the Spirit and had to come up with as many words as we could out of that word (so, I had "Knowledge" and I had to see how many ways I could rearrange the letters to form other words - I came up with 66 other words). It had nothing to do with Confirmation but, whatever, it was just an ice breaker. Then we came to the introduction and the first talk, which was all about Hands. We were given a set of directions and asked to do things with our hands and evaluate how they "felt." For example: "High five your partner. Shake your partner's hand. Put your arm on your partners shoulder." After each direction, we were asked to write down how it "felt" to do this action (for the hand shake, I wrote "moist"). Everybody at each table was asked to share their answers, which they did reluctantly because the whole thing was so weird. Then there was a very weak talk on the importance of "hands" in the Confirmation rite (nobody, neither any students nor the facilitators, mentioned that laying on of hands sacramentally imparted the Holy Spirit. I had to volunteer that information). Then we had a session entitled "Called." We were given a sheet of paper and asked to come up with a list of all the titles we go by - Father, Son, Brother, etc. At any rate, after this exercise, we had a talk by a deacon aspirant on the importance of Confirmation saint names. He went around the room asking what people's saint names were, and while some were decent, a lot of the explanations were awful - "I chose Joan because it is my grandma's name." "I picked Michael because I always wished that was my name." "I wanted Christopher because my parents said that was another name they almost called me and I have always liked that name." Having done Confirmation prep myself for several years, I can say that such rationales for choosing a saint name are woefully common. Then (still sitting at the same tables in the parish center and now several hours into this) we had a session called Sealed, in which we were to look at several objects in a bag and brainstorm on how they related to sealing. We had class rings and a roll of electrical tape. Basically the same thing as talk one - asking all the kids to share their answers followed by a very theologically weak talk on what it means to be sealed with the Spirit. Then we did another activity with the gifts of the spirit, in which kids were all asked to describe how other objects (scales, road signs, books, etc) related to a certain gift. By the way, "Fear of the Lord" was changed to be "Wonder and Awe of the Lord." There was also some comments about how "before Vatican II" Catholics talked too much about sin and judgment and now it is different. Meanwhile the kids were getting called back for Confirmation interviews by the priest. Each interview took about one minute. He asked them two questions - "What do you get out of being Catholic?" and "Imagine you are in college and it is Sunday and all the other students are sleeping in; why should you get up and go to Mass?" Good questions, I suppose, but hardly sufficient to determine the worthiness of a candidate for Confirmation. A better question would have been something like, oh, I don't know, "Explain the sacrament of Confirmation" or "Who is the Holy Spirit", or, as my pastor always asks ever since a kid got this one wrong, "Is the holy Spirit God?" Such wimpy questions as "what do you get out of being Catholic" do not in any way help determine that a person understands the sacrament or has been properly formed. They are practically meaningless. But, as one guy at my table said with a laugh as the students all returned from their interviews, "Father likes to get everybody through quickly." By the way, the priest was not wearing clerical garb, just a flannel shirt and blue jeans. Then we went over to the Church for Confessions, which was a welcome change of scenery. The priest stood out in the vestibule, however, and the talking was so loud that I had to go outside the Church because I could hear the kids making their confessions and hear what he was saying back to them. Then we had to do some mandatory "Faith Sharing." I had to go sit somewhere privately with my confirmand and talk to him about my own Confirmation and things I had learned since then, which wasn't exactly a bad thing, although it was a little awkward because it was forced (Go spend five minutes and talk about your faith - very unorganic and unlike how faith-sharing happens in the real world). Then we had Mass and then a dinner, but my kid and I cut out early; we had been there all day and it was evening, so we were ready to go. I apologize for dwelling so much on Balthasar as of late (here and here), but I do believe that Catholics who value our tradition need to start coming together and challenging the prevalence of Balthasarian theology in much of Catholic academia. His presence is truly all-encompassing. Well-respected popular teachers like Fr. Barron state that Balthasar is "probably right" about Hell being empty; disciples of Balthasar are being promoted to the cardinalate (Scola and Oullet); major, otherwise orthodox Catholic publishing companies are promoting von Balthasar; and Cardinal Ratzinger himself, at Balthasar's funeral, said that"he is right in what he teaches of the faith." Truly, there is no escaping the influence of von Balthasar. Despite his eminence, many have raised concerns about his teaching, notably his thesis that Catholics may reasonably and with sincere hopefulness postulate that hell may be empty. This is the most often criticized doctrine of Balthasar's, if for no other reason than it is the most easy to understand. Yet it is not the most troubling of his teachings. Among other things, Balthasar attributes to Christ ignorance and positive error, denies the Traditional understanding of the "Harrowing of Hell", suggests that Christ suffered the pains of the damned, says the blessed in heaven have faith, states that the Incarnation can be "suspended", suggests the theoretical possibility of the blessed in heaven still turning their back on God and losing their salvation, posits more than one Divine Will in the Godhead, calls God the "Super-Feminine" and "Super-Death", and denies that Jesus Christ experienced the Beatific Vision. Though in my uneducated, arm-chair theologian opinion, an assertion of any one of these points would make Balthasar a heretic, in this article I wish to tackle on the last mentioned assertion: that Jesus Christ, while on this earth, did not possess the Beatific Vision. 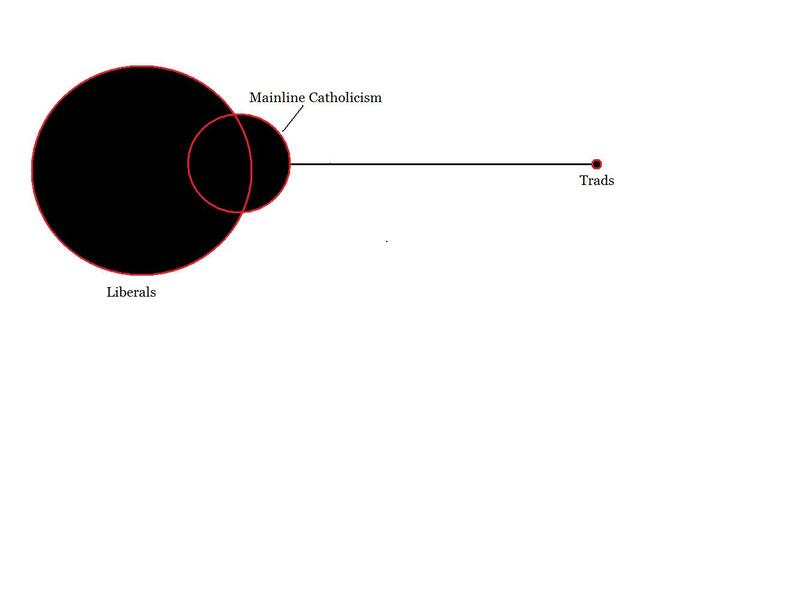 In this article, we will (1) explain Balthasar's theory of the visio immediata, (2) explain Balthasar's reasoning, and (3) demonstrate how they are at variance with traditional Catholic theology. All quotes will be cited; sources are at the bottom of the post. Unless otherwise stated, all works are by Balthasar. Traditional Catholic Christology states that Christ, from the first moment of His conception and uninterrupted throughout His earthly life, possessed the Beatific Vision by virtue of the Hypostatic Union between the human nature of Jesus and the Word of God. Actually, this vision is actually greater than the Beatific Vision experienced by the saints, because the attachment of a normal human soul to God through grace is accidental - we receive the grace of God gratuitously through adoption; but the attachment of Christ's soul to God is substantial, proceeding from a union of natures. Therefore, Christ not only has the Beatific Vision, but experiences it in a unique way that surpasses the experience of even the saints. Note that the possession of the Beatific Vision by Christ has also traditionally been offered as an explanation as to why He is free from sin. Balthasar denies that Christ possesses this vision, as we have defined it above. Instead, he posits something that he calls the visio immediata Dei in anima Christi, or "immediate vision of God in the soul of Christ"(1). 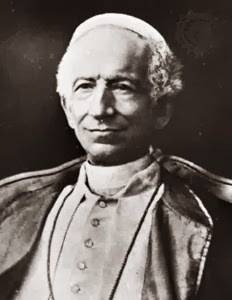 This terminology in and of itself is not problematic; the phrase visio immediata Dei has sometimes been used interchangeably with visio beatifica in Catholic Tradition (see, for example, Dr. Ludwig Ott, Fundamentals, pg. 162). But, as we shall see, Balthasar here uses traditional vocabulary but drastically redefines what is meant by the term. The visio immediata of Balthasar has nothing in common with the Beatific Vision of Tradition. In the first place, Balthasar states that it is necessary for Christ's mission that His human knowledge may not possess "supratemporal contents, nor contents from another period of time" (2). Christ has no infused knowledge of the past or the future. 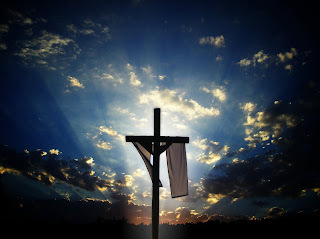 "It is an indispensable axiom that the Son, even in His human form, must know that He is the eternal Son of the Father. 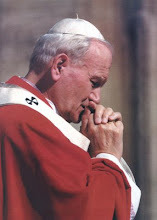 He must be aware of the unnbreakable continuity of His procession and His mission...nonetheless the Son, insofar as He is man, must also be able to experience faith" (7). Christ experiences this "faith" precisely because He does not have an immediate vision of God. If He did, He would not need faith, as faith does not pertain to those who see, since seeing pertains to knowledge, the end of faith. The vision of the Father is obscured from Christ, especially on the cross. Nevertheless, as Balthasar says, "His obedience remains intact, and to that extent we must also say that Christ has a real 'faith'" (8). So for Balthasar, Christ does not suffer the Passion in full knowledge that this is the will of God and that He is carrying out God's plan, but He does this in ignorance of God's ultimate design, an act of "faith." "Jesus is aware of an element of the divine in His innermost, indivisible self-consciousness...but it is limited and defined by [His] mission-consciousness. It is of this, and of this alone, that he has a visio immediata..." (9). He also states that we ought not to presume that Christ enjoyed the Beatific Vision because of His intimacy with the Father. The fact of the Hypostatic Union "need not mean that His spirit must already enjoy a perpetual visio beatifica" (11). These excerpts should make it abundantly clear that Balthasar denies (or at least seriously calls into question) the belief that Christ enjoyed the Beatific Vision. He is very clear in this denial. What prompts Balthasar to make this denial? Balthasar offers several explanations, many of them seemingly based on a misunderstanding of what the Beatific Vision is. For example, saying that it is not possible for Jesus to have seen the Father with His physical eyes: "It is not said that Jesus, with His human eyes, saw the Father but only that He saw the heavens opened and the Spirit descending upon Him" (12). Here he seems to be thinking of the Beatific Vision as akin to the orthodox concept of Hesychasm. The classic doctrine of the Beatific Vision of course does not state that it consists in seeing God with one's physical eyes. How Balthasar could have got this wrong I haven't the foggiest. "Eternal life cannot simply consist in 'beholding' God. In the first place, God is not an object but a Life that is going on eternally and yet ever new. Second, the creature is meant ultimately to live, not over against God, but in Him. Finally, Scripture promises us even in this life a participation - albeit hidden under the veil of faith - in the internal life of God; we are to be born in and of God, and we are to possess His Holy Spirit" (13). "If God's essence is to be seen, the intelligence must see it in the divine essence itself, so that in such vision the divine essence shall be at once the object which is seen and that whereby it is seen. This is the immediate vision of God that is promised us in Scripture: 'We see now in a glass darkly, but then face to face' (i Cor. xiii, 2): a text absurd to take in a corporeal sense, as though we could imagine a bodily face in Deity itself, whereas it has been shown that God is incorporeal...Nor again is it possible for us with our bodily face to see God, since the bodily sense of sight, implanted in our face, can be only of bodily things. Thus then shalt we see God face to face, in that we shall have an immediate vision of Him, as of a man whom we see face to face. By this vision we are singularly assimilated to God, and are partakers in His happiness: for this is His happiness, that He essentially understands His own substance. Hence it is said: 'When He shall appear, we shall be like Him, for we shall see Him as He is' (i John iii, 2). 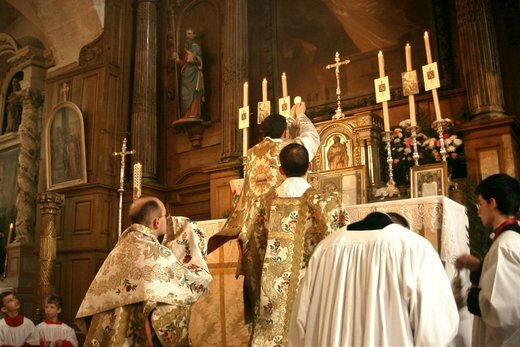 And the Lord said: 'I prepare for you as my Father hath prepared for me a kingdom, that ye may eat and drink at my table in my kingdom' (Luke xxii, 29). This cannot be understood of bodily meat and drink, but of that food which is taken at the table of Wisdom, whereof it is said by Wisdom: Eat ye my bread and drink the wine that I have mingled for you (Prov. ix, 5). They therefore eat and drink at the table of God, who enjoy the same happiness wherewith God is happy, seeing Him in the way which He sees Himself" (source). "Jesus willed out of love to experience only the judicial character [of the redemption], and therefore to renounce everything that would have comforted and strengthened Him" (15). So, in other words, for Christ to truly bear the full weight of sin, the comfort or strength He could draw from His intimate union with the Father must not be available. The Father must be veiled from Him. Indeed, so veiled is the Father from Christ in the Passion, that Christ Himself believes He is forsaken. In other words, He believes positive error through ignorance. This is not impossible for Balthasar, since he already admits that Christ has faith (which presupposes a condition of at least partial ignorance) and states that Christ can have no knowledge of "supratemporal contents, nor contents from another period of time." He can have no knowledge that His death will result in Resurrection. He must fully despair. 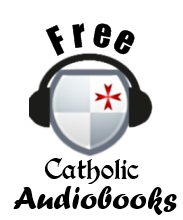 How does Balthasar's dogma stand up to traditional Catholic Christology? Poorly, I am afraid. "[A]ll that in any way whatsoever is, will be, or was done, said, or thought, by whomsoever and at any time. And in this way it must be said that the soul of Christ knows all things in the Word" (STh, III 10, 2). Note clearly the how condemnation is worded. The condemned proposition is that it cannot be called certain that Christ was ignorant of nothing. Therefore the correct proposition is that it is correct that Christ was ignorant of nothing. 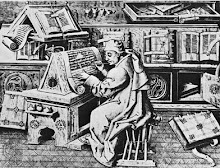 It also condemned the opinion that "the limited knowledge of the soul of Christ is to be accepted in Catholic schools no less than the notion of the ancients on universal knowledge" (D 2185). Christ's "universal knowledge" is traditionally understood to be infused knowledge (scientia infusa), concepts immediately and habitually communicated by God. The argument Christ possesses this infused knowledge is an argument from fittingness - Christ is the head of the angels, and the angels know by virtue of infused knowledge. If the angels have this knowledge, then it is fitting that Christ, as the head of angels, should possess the form of knowing proper to angels. Furthermore, it is appropriate that the human nature assumed by the Word should lack no perfection, and this infused knowledge is such a perfection (STh III, Q. 9, art. 3). St. Thomas says that this infused knowledge extends to all which could be the object of natural human cognition and everything communicated by supernatural revelation from God to man. It does not, however, include the beatific vision, whose object is the essence of God Himself (STh III, Q. 2, art. 1). St. Thomas affirms the infused knowledge of Christ, which is universal in scope, according to the Holy Office and Aquinas. 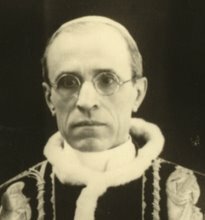 Thomas also affirms Christ's experience of the Beatific Vision, which is confirmed infallibly by the teaching of Pius XII. Balthasar denies both Christ's universal knowledge and the Beatific Vision. "Also that knowledge which is called vision, He possesses in such fullness that in breadth and clarity it far exceeds the Beatific Vision of all the saints in heaven...For hardly was He conceived in the womb of the Mother of God, when He began to enjoy the Beatific Vision, and in that vision all the members of His Mystical Body were continually and unceasingly present to Him, and He embraced them with His redeeming love. O marvelous condescension of divine love for us! O inestimable dispensation of boundless charity! 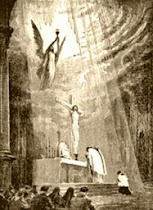 In the crib, on the Cross, in the unending glory of the Father, Christ has all the members of the Church present before Him and united to Him in a much clearer and more loving manner than that of a mother who clasps her child to her breast, or than that with which a man knows and loves himself" (Pius XII, Mystici Corporis, 48, 75). Balthasar's comments about the "fluctuating" vision of God were written in 1982, thirty-nine years after Pius XII's Mystici Corporis. Balthasar could hardly have been ignorant of the Holy Father's teaching. "Christ's soul possessed [the Beatific Vision] in this word (in statu viae) and indeed, from the very moment of its union with the Divine Person of the Word, that is, from the Conception. Christ was therefore, as the Schoolmen say, viator simul et comprehensor; that is, at the same time a pilgrim on earth and at the destination of His earthly pilgrimage. It follows from this that He could not possess the theological virtues of faith and hope" (Ludwig Ott, Fundamentals of Catholic Dogma, p. 162). 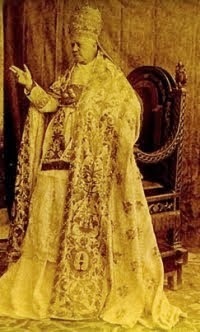 If Christ possesses the Beatific Vision, as Pius XII clearly teaches, then He cannot experience faith. The Beatific Vision is simply the consummation of sanctifying grace, which ends in a participation in the very life of God. It is the end to which Faith tends. Therefore, if Christ in His human soul is already at that terminus, He cannot possess Faith, a virtue which is proper only to those who do not yet see God. But Christ does see God. For this reason, too, He does not have hope. "For we are saved by hope. But hope that is seen, is not hope. For what a man seeth, why doth he hope for?" (Rom. 8:24). In His faith, Balthasar has Christ believing positive error in thinking that His mission would be futile and that He is forsaken by God. Based on the condemnations by the Holy Office of the propositions that Christ's knowledge was incomplete, this is impossible. 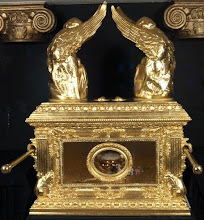 How could one who "in whom are all treasures of wisdom and knowledge" (Col. 2:3) be in positive error about something so fundamental as the efficacy of His mission? Finally, what of Balthasar's contention that Christ cannot have the Beatific Vision if He is to truly experience the suffering that the Cross entails? Does the Beatific Vision render the suffering of the cross "innocuous", as Balthasar asserts? 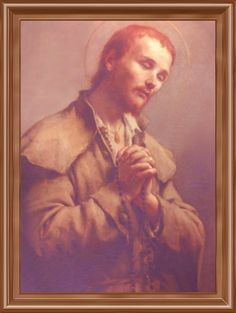 "As was said above, by the power of the Godhead of Christ the beatitude was economically kept in the soul, so as not to overflow into the body, lest His passibility and mortality should be taken away; and for the same reason the delight of contemplation was so kept in the mind as not to overflow into the sensitive powers, lest sensible pain should thereby be prevented' (III, Q. 15, art. 5). This follows from the nature of the Incarnation, in which Christ, because of His union to the eternal Word, should experience the Beatific Vision, but as true man should still suffer the conditions natural to man (sensible pain, hunger, etc). A larger problem is how Christ could experience the spiritual joy of the visio beatifica and at the same time experience the interior, spiritual sorrow necessitated by the Passion. There have been various theories on this, but St. Thomas teaches, in the words of Dr. Ott, "that he bliss proceeding from the immediate vision of God did not overflow from the ratio superior (=the higher spiritual knowledge and will directed to the bonum increatum) to the ratio inferior (=human knowledge and will directed at the bonum creatum) nor from the soul to the body." Thus, Christ experiences sorrow and sadness in His soul insofar as His truly human soul is directed towards things of earth; but insofar as Christ's soul, reason and will are fixed on God, He experiences joy. 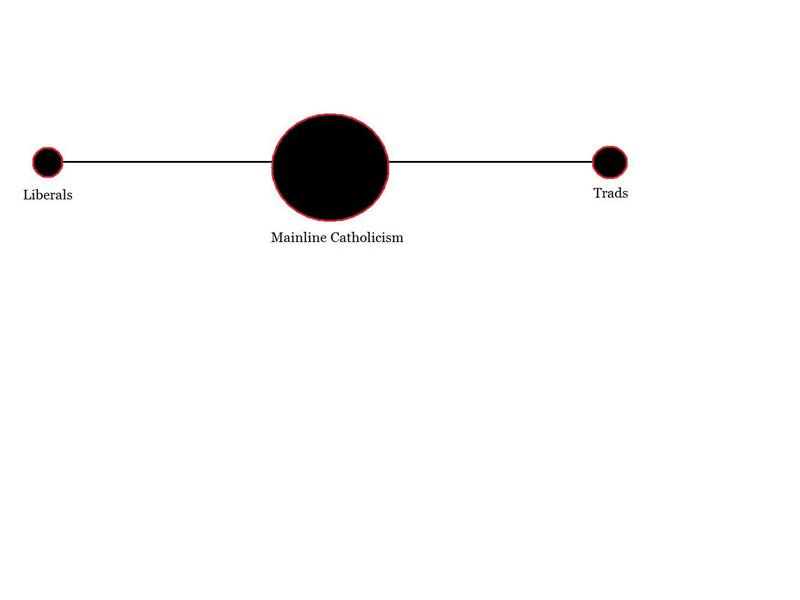 This joy of the higher reason (ratio superior) does not overflow into Christ's ratio inferior (STh III, Q. 46, art. 8). This is an admittedly complex answer, but unraveling the mystery of the Incarnation is not simple. The important point is that Thomas, and the Church, begins with the fact of Christ's experience of the Beatific Vision and interprets Christ's sufferings in light of this fact; Balthasar, on the other hand, begins with certain novel assumptions about the nature of Christ's sufferings and than proceeds from there to eliminate the Beatific Vision. "This would exclude the Beatific Vision of God...Jesus does not see the Father in a visio beatifica" (10). "[H]ardly was He conceived in the womb of the Mother of God, when He began to enjoy the Beatific Vision, and in that vision all the members of His Mystical Body were continually and unceasingly present to Him" (Mystici Corporis, 75). Does Christ have a continuous and direct vision of God the Father throughout His earthly life, a vision that endures and is constant (as constant as the Hypostatic Union) even in His Passion, or does He have a fluctuating sort of inner hunch about His own mission that is not identified as the Beatific Vision and leaves Him at certain times, especially at His Passion, allowing Him to even doubt the success of His mission? Balthasar says one thing and the Church says another, and this ought to be problematic for any Catholic. I know I said I wasn't going to post for awhile, but I couldn't resist once I saw this article. Apparently, some nun in England claims to have had some kind of vision in which she saw Hans Urs von Balthasar! It's only a private revelation, of course, but it might have some implications for how his doctrine is received in the future. Please click here to read the entire article from the Telegraph.